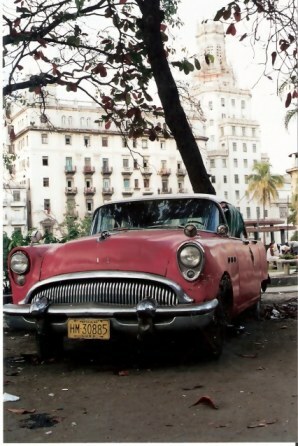 No collection of photos of Cuba would be complete without some of the classic cars in Havana, for which the country is famous. 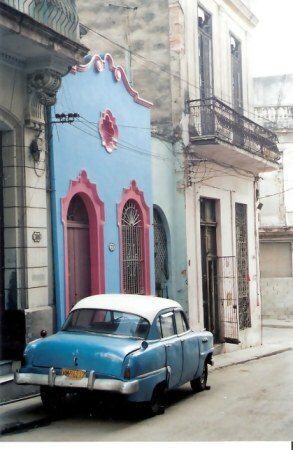 This car in Barrio Cayo Hueso seems part of the art of the place. 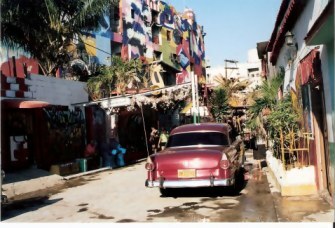 This part of Havana is a place of colour and music - and also a centre for the spiritualistic religion known as Santería – as reflected by the abundance of Abakuá plants which are used for initiations. The paint or dye used by the artist of this mural was gathered from bits of 'this and that' donated by people in the area. 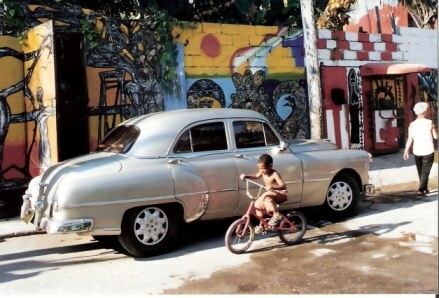 We take for granted that we can get the things we need to be creative, but in Cuba such materials are beyond the reach of most people, if available at all. 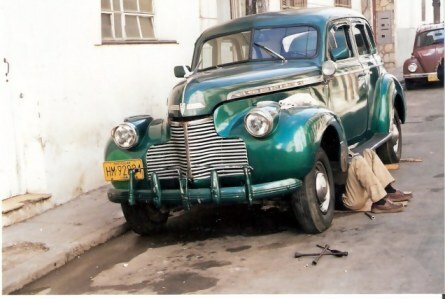 They say that if you ever need anything fixed or need to get anything particular, ask a Cuban. They live in a world where creative solutions are a necessity, not a luxury – and your personal knowledge of who does what, can get what, can transport something, fix something … is as important as what you can do yourself. 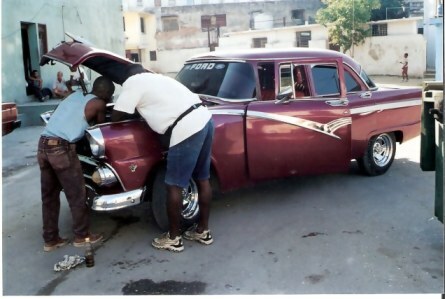 Fixing classic cars in Havana is a specialty. This classic Ford needed a collaborative diagnosis. – amongst numerous other classic cars. Tight is tight: Too tight is two pieces. Don’t force it: Get a bigger hammer. Duct tape is like 'The Force'. 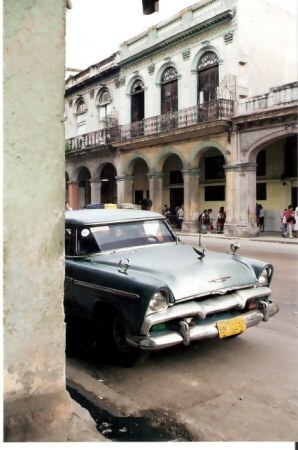 No matter where you go in Havana, these classic cars are part of the landscape, and they paint as vivid a flashback to other times as do the colours of the renovated buildings. 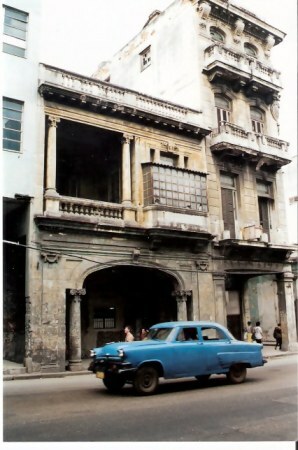 This car, with its roughly panel beaten doors is carefully stopped from rolling off while parked, by cobblestones under the wheels. 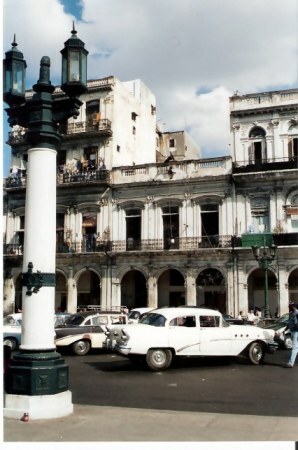 These Clasicos are usually taxis, formerly only for Cubans. In former times if you are riding and were stopped, you were asked to produce your Carnet or ID Card. Without one you'll will be thrown out. 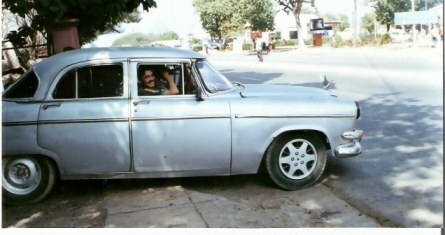 Foreigners were supposed to take the more modern vehicles. 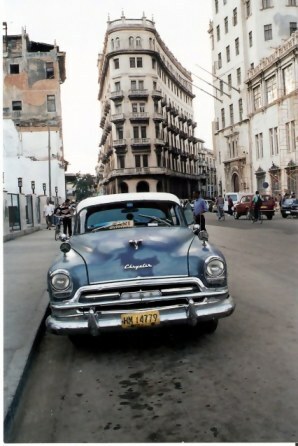 The driver probably didn't have such an easy fate if found carrying a non-Cuban. 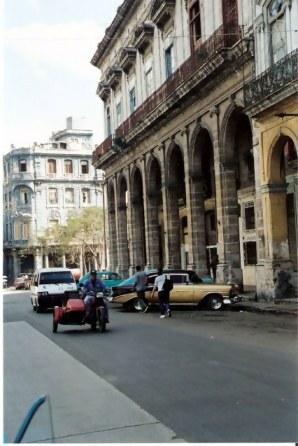 The locals are used to the collective ride, and the driver of a classic car in Havana usually wants to cram in as many people as is possible. 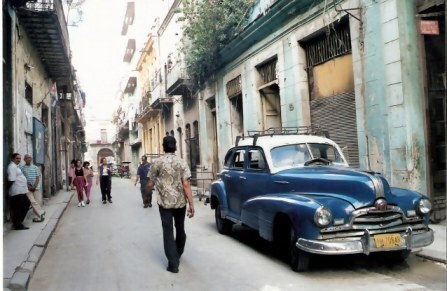 When travelling with my Cuban friends when it was illegal to do so, I said nothing and tried to be as unobtrusive as possible, pretending to be local and enjoying the friendliness with which everyone was greeted as the rest squeezed even tighter together. I love the way my friends flag down any vehicle travelling along. They lean in to ask where the car is going, negotiate a deal, and climb aboard. This was then repeated by others who piled in along the route, getting dropped as near as possible to their actual destination. 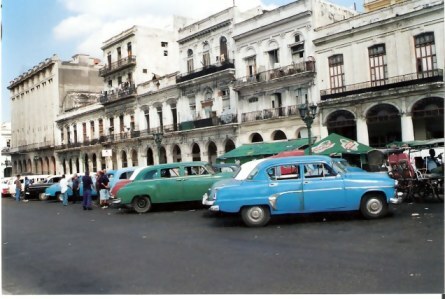 There are disorderly taxi ranks around Habana Centro, with a constantly changing range of classic cars. … or heading off to the beach. This classic Mercedes was waiting for the wedding couple. The car here has definitely weathered the passing of time better than the building around it. 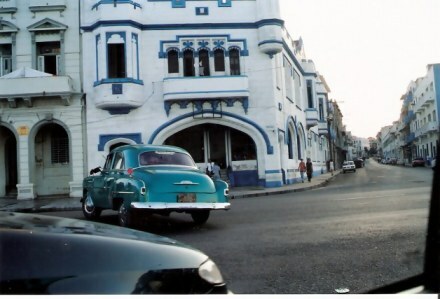 But to own and care for a classic car in Havana - more so than for a more modern one– gives obvious pride. 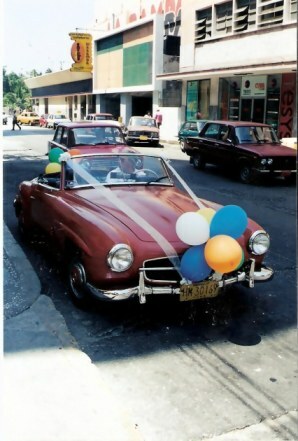 There comes to be a sense of normality of seeing such classic vehicles parked under the trees along the boulevards, or along the Prado, or surprising you as you turn a corner from the barrio. However, I never could work out how the locals know which of the ranked vehicles they should choose. 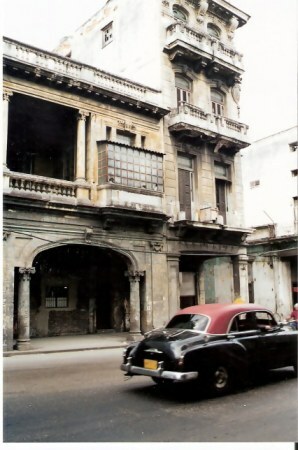 However, it is when clasicos are in the foreground of the baroque and neo-classical architecture of Havana that they seem to transport you to another time: a time when the city was the playground of the rich, and when there were even evening flights from Miami to Havana to gamble, party, and fly back the next morning. 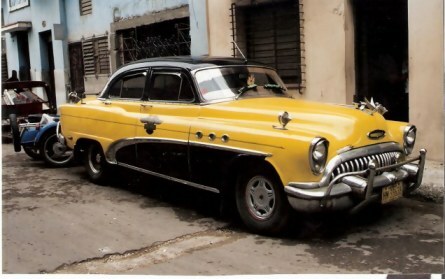 With limited services and parts at a premium, Cubans are gifted mechanics: it is improvisation that keeps these classics running. 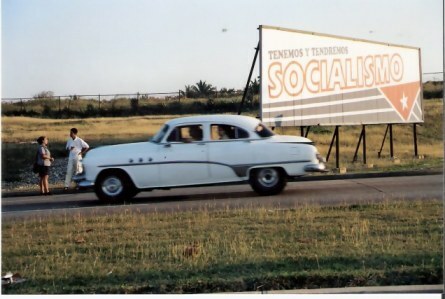 The fact that these classic cars are driving around Cuba where there are no spare parts stores, demonstrates how innovation flourishes when driven by necessity, PLUS imaginative passion.